Bone Cell (Osteocyte) under a microscope! FACTS: Your bones are made primarily of an intricate edifice of mineralized tissue laid down by bone cells like a coral reef. 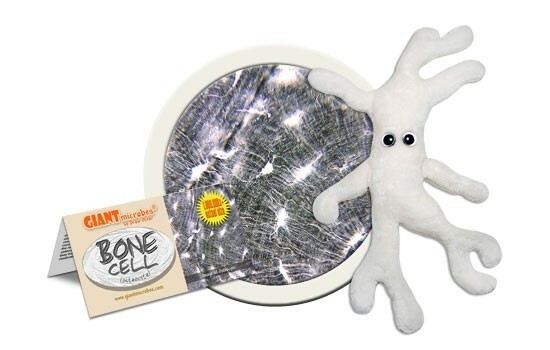 At first, the work is exciting and productive, as young cuboidal osteoblasts dutifully secrete the osteoid tissue that forms the bone matrix. Unfortunately, as the bone is constructed, these cells soon find themselves imprisoned in their own handiwork, buried alive! In order to survive, these now mature osteocytes occupy little spaces called lacunae and reach out desperately to nearby cells with thin extensions (or cytoplasmic processes) into little channels (or canaliculi) in the bone. When they make contact, they form a living network inside the bone that can exchange nutrients and waste. They can also communicate about which parts of the bone are being stressed and need to be strengthened – as well as determine which parts should be left to decay. Which may create a glimmer of hope: as osteoclasts begin resorbing the bone matrix, the material covering the osteocytes is reduced. However, as bone stresses are constantly shifting, bones are typically remade, strengthening them and dooming the osteocytes to their fate. Unfortunately, under certain circumstances the resorption rate of the osteoclasts exceeds the bone-formation rate of the osteoblasts, which can result in osteoporosis. This general weakening of the bones is of particular concern to women when their estrogen levels drop after menopause (though the reduction of testosterone levels in men can also provoke increased osteoclast activity). In severe cases, bones can become so weakened that they fracture easily. Fortunately, lifestyle changes, dietary supplements and medication can help prevent sufferers from becoming trapped by the condition. 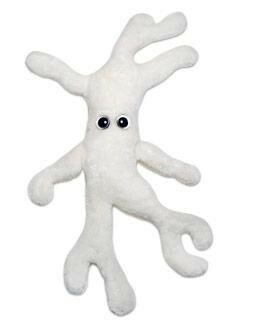 Osteocyte is derived from the Greek: Osteon=bone, kytos=cell. 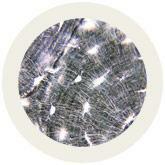 Osteocytes can be 20 micrometers across, less than 1/6 of the diameter of the finest pieces of sand. Scientists have estimated, based on skeletal volume, mass, and density calculations, that there are approximately 42 billion osteocytes in the human body. 1990: Marotti and Palumbo use diagrams to show osteocyte function and communication. 1992: Peter Nijweide was the first to isolate avian osteocytes. Long Lived: While other cells have a relatively short lifespan, osteocytes can last a couple decades. Minerals: Although calcium is seen as the primary nutrient needed for bones, strong bones are largely dependent on calcium AND phosphorus. Bones: a TV crime drama involving forensics that aired in 2005. Skeleton: a symbol for death in art, movies, music and more. The Skeleton Key: a 2005 horror, mystery movie starring Kate Hudson. Spooky Scary Skeletons: a 1996 Halloween song.